Mamas, I am so excited to introduce my new online course to you. From Surviving to Thriving: Creating a Thriving Mama Mode with Joy, Calm, and Happiness in Motherhood was born because while there are hundreds of books on how to care for a child, less common are guides for mothers on how to care for herself in this role that spans a lifetime! In my work with thousands of mothers over twenty years of counseling, here is what I know: When a mother is supported and encouraged to identify what she needs to feel healthy and happy and given the skills to care for herself, she THRIVES! 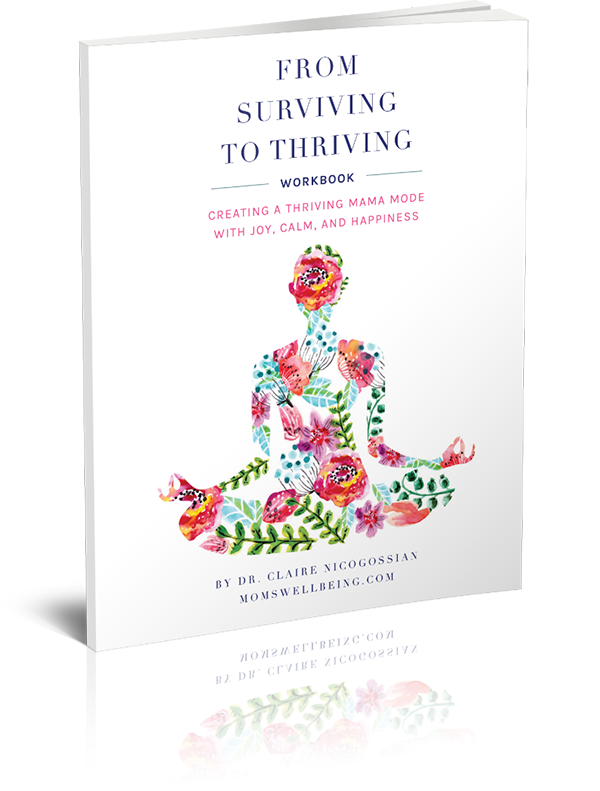 From Surviving to Thriving will inspire, educate and help you transform from living in Survival Mode to moving into a Thriving Mama Mode. When we care for ourselves, we give not only a gift of health and well-being to us, we also provide our families with an enormous gift! Give yourself the gift of self-care by working through this course, learn more about yourself and set goals for what you need to thrive in motherhood! 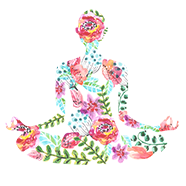 As with any journey, this is a process, the beginning of a practice of caring for yourself in motherhood. After this course, you will be able to recognize the situations and symptoms of when you are in Survival Mode and make the necessary adjustments to increase coping skills and self-care to move into a Thriving Mode. The goal isn’t to avoid being in Survival Mode, because every mom at some point or another will find herself in Survival Mode! The key learning is to know yourself and identify how to self-correct when you’re overwhelmed and be able to move back into Thriving Mode. What does this online course include? I created the “From Surviving to Thriving: Creating a Thriving Mama Mode with Joy, Calm, and Happiness” course because I know what it feels like to be hanging on by a thread. I also know the power of self-care, especially when adopted as a permanent habit. Join the Thriving Mama community and equip yourself with all of the tools you will need to move into Thriving Mama Mode. Lifetime access to 13 video modules with guided exercises for each topic. 93-page printable workbook for you to follow along with the guided exercises. Access to a private Facebook group to discuss the exercises, ask questions and offer support for others working towards Thriving Mama Mode. Option to join a weekly Zoom conference call with Dr. Claire. 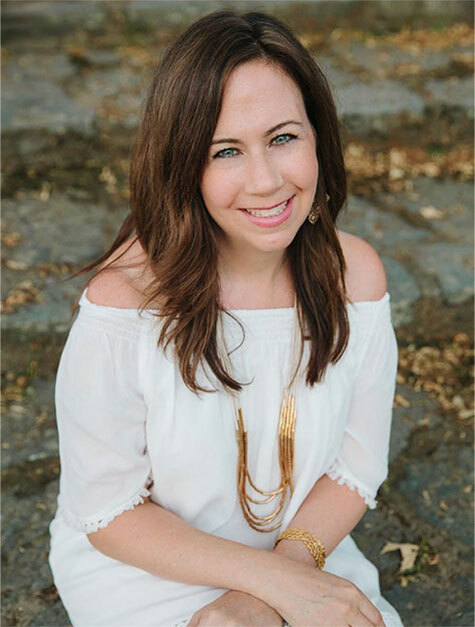 Originally from the Washington, DC metropolitan area, Dr. Claire Nicogossian completed her undergraduate degree in Psychology and Early Education and her Master’s degree in Counseling from Marymount University in Arlington, Virginia. Since college, Dr. Claire had the vision and perseverance to become a psychologist, taking a few months off between her Master’s program and beginning her doctorate. Dr. Claire completed her Doctorate in Clinical Psychology at The American School of Professional Psychology/Argosy University in Arlington, Virginia. As a doctoral candidate, she completed her doctoral Internship at Virginia Tech Counseling Center in Blacksburg, Virginia. After taking time off from clinical work to care for her fraternal twin girls, she and her family moved to Rhode Island where Dr. Claire returned to clinical work, completing her post-doctoral fellowship at RICBT in North Kingstown. While she has worked in a variety of clinical settings, including the Psychiatric Institute of Washington, Loudoun County Mental Health Center, and the Catholic University Counseling Center. Dr. Claire enjoys working in private practice, supporting clients with a variety of clinical presentation. Dr. Claire is passionate about well-being and self-care for individuals with a focus on parental well-being. Dr. Claire’s writing can be found at MomsWellBeing.com, Mother.ly, Scary Mommy, Dr. Oz, Huffington Post, The Mighty, and TodayCommunityParenting. You can find her podcast, In-Session with Dr. Claire, and listen to all things related to well-being, self-care, and parenting. Dr. Claire is also the creator of the Burned Out Dad and Burned Out Mom Quiz, totaling over 20k submissions. Take the quiz to learn what you can do to prevent experiencing burnout in parenting.